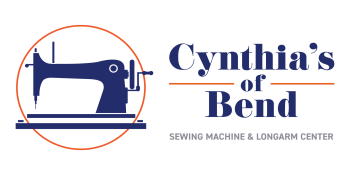 Our store, originally named Cynthia’s Sewing Room, opened in 1979 in Gresham, Oregon, with only 500 square feet of space and the desire to offer a friendly shop atmosphere with exceptional customer service. Over the years we have expanded to Bend and the Las Vegas market. January 2017 Bill and Katie purchased the Bend location from Cynthia, thus the slight name change to Cynthia's of Bend. As a second generation family owned and operated business, we will continue to strive to treat our customers like part of our extended family circle, offering them attentive, personalized service...the kind we ourselves would like to receive. We're passionate about providing our community members with the finest sewing products and machine care available to support their creative endeavors and make their sewing experience more fulfilling and successful.